How does the new 60 Million $ Stadium in Hartford impact the Whalers? On June 4th it was revealed that the city of Hartford was undertaking a huge project in an effort to revitalize the downtown area. The City announced plans to build a 60$ million dollar stadium downtown that will be completed in 2016. The stadium, which will seat 9,000 spectators, will be the future home of the New Britain Rock Cats whose lease in New Britain expires in 2015. While the negotiations between Hartford and the ball club have caused a stir, mainly because New Britain feels betrayed because the team did not alert them of the possibility of a move, the big question that comes from this is who does this impact the NHL’s return to Hartford. 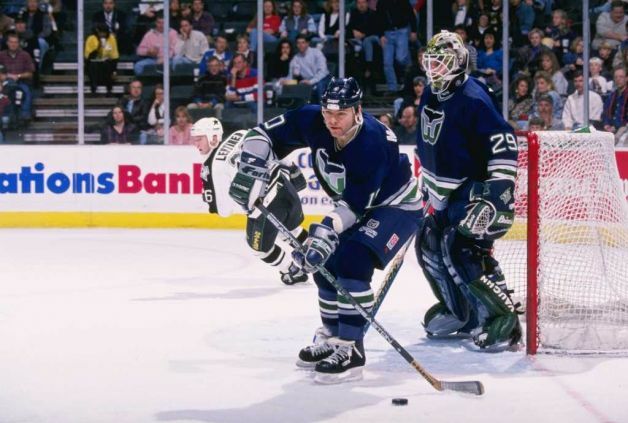 Since 1997 the question that has lingered is will the NHL return to Hartford? With this new stadium there are two school of thoughts. Either this new stadium will help push the city to build a new arena, or the new ballpark will prevent the city from exploring a new hockey arena. Is Hartford making an effort to make itself more attractive for the NHL? For some people, they think this ballpark helps the Whalers. If the ballpark helps to revitalize downtown Hartford. If it attracts large crowds and is a financial success, it maybe the spring-board for building a new arena in the Hartford area. On the surface the stadium seems like a good idea, especially for the NHL in the city, but it is a huge mistake. Who are the New Britain Rock Cats? They are a Double A baseball team. It amazes me that the city of Hartford has made such an effort to acquire a minor league franchise rather than try to lure a professional franchise. Look, I understand that this sounds like a good idea, but it could come back to haunt the city. The Rock Cats currently play 15 minutes aways, was it really worth it the spend 60$ million to move them closer? 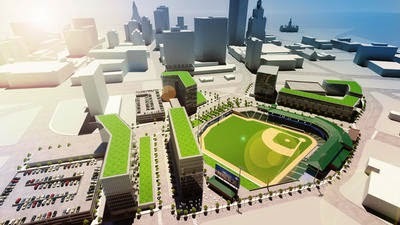 Instead of building a minor league baseball stadium, especially with baseball’s popularity declining, Hartford should have invested in a new arena. They won’t build a 200$ million dollars arena that could host an NHL franchise, UConn basketball, concerts, and other events ? Let’s face it. UConn basketball is the most popular sports franchise in the state. Why not build an arena for them? This just seems like a short-sighted and almost a conciliation prize type of move by the city. We won’t invest in a new arena but here’s minor league baseball enjoy. It still is a long road for the NHL to return to Hartford in the future. The hope for Whalers’ fans is that this downtown ballpark will be a step in the right direction. A building block for revitalizing downtown and pushing the city to build a new arena. However, this could be a bad investment that will deter the city from investing in a new arena that an NHL franchise would need. Either way, the city’s decision to build this new ballpark will greatly impact the future of the Whalers in Hartford. Here’s hoping this ballpark will be the first step in bring an NHL franchise back to Connecticut.